Spend a day immersing yourself in the history and culture of the ancient Baekje Dynasty of Korea (18 BC to 660 AD). 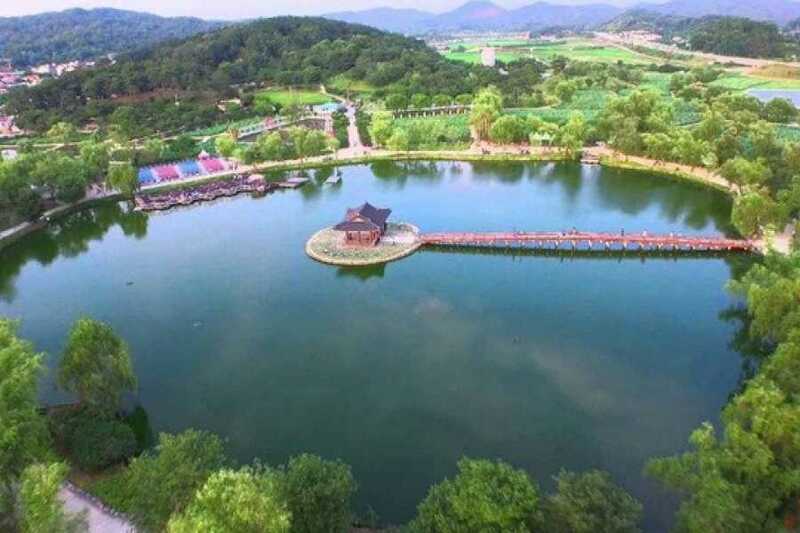 After being picked up from your hotel, travel to the Seodongyo Theme Park, a historical park offering a variety of highlights - see the royal residences of Baekje and Silla, the place where nobles held their banquets, the commoners' village, and the village of the nobles. Visitors can also play traditional games, make necklaces, try on costumes, and more! 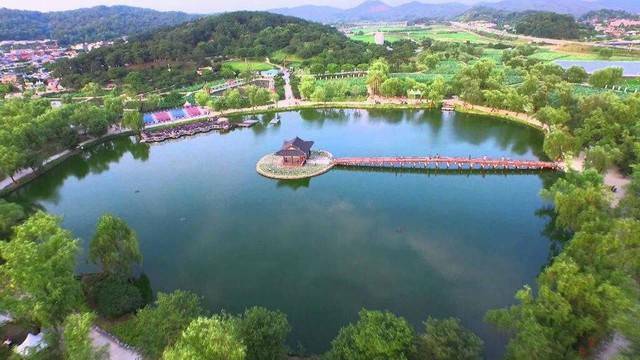 The second part of your tour will be a stop to Baekje Cultural Land, a 3 million square meter site filled with traces of Baekje culture. Sabigung Palace and Neungsa Temple have been recreated according to original specifications, showcasing the scenery of royal palaces of the dynasty. Marvel at the Five-Story Stone Pagoda from the Jehyangnu ferry. The final stop is a visit to the seven Songsan-Ri Tombs, which include the Royal Tomb of King Muryeong and his queen, who ruled the kingdom from 501 to 523 AD. Admire the wall paintings in many of the tombs, and the unique architectural patterns created through a certain way of laying bricks. The Tomb of King Muryeong, now closed off, was discovered full of national treasures that have supplied Baekje scholars with precious research material. You will still be able to visit a miniature duplicate of the tomb to admire its beauty. Your tour ends with transportation to Myeongdong Station at 6:00 PM after a full day experiencing the fascinating Baekje Dynasty. .